LONDON - It comes up often in conversations about where China is heading — the reference, often sotto voce, to that great emerging global force, Chinese nationalism. We see small clues to what it looks like when we eavesdrop on social media conversations within China, or watch when China comes up against issues around its own region. But framing the precise threat that Chinese nationalism poses to the wider world proves surprisingly challenging. One reason is simply that, at the moment, most of this new phenomenon is manifested in words, rather than actions. 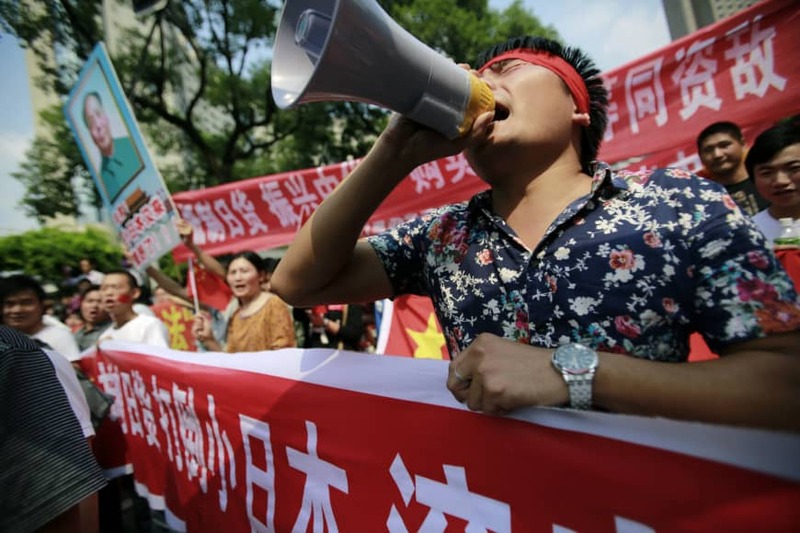 It is true that the language of Chinese nationalists can be fierce and bellicose. Individuals who are seen as losing the country’s face — film stars who don’t support government positions when they travel abroad or who are seen as appearing in films with disloyal or inappropriate themes, or intellectuals who start discussions seen as putting China down — often bear the brunt of this. Rich invective that can be, and frequently is, thrown by trolls and others at figures deemed to have erred. Despite this, such discourtesy and ugliness in language is not remotely unique to China. Anyone scrolling down the comments section left on articles about U.S. politics these days will see words and language every bit as intemperate and extreme. As a purely linguistic phenomenon, therefore, the tone of Chinese nationalism is, alas, not unique. More significantly, though, one has to wonder what actions nationalism could cause China as a country and a political force to take. It is true that in the past, particularly when there were specific issues with countries like Japan, people went onto the streets and protested in Beijing and across the rest of the country. In 1999, when the Chinese embassy in Belgrade was accidentally bombed by NATO-led planes, huge crowds came out and, in the capital at least, pelted the U.S. and U.K. embassies with stones. This brought back memories of another era, in the 1960s Cultural Revolution, when zealous members of the foreign service from China would emerge from their posts and demonstrate their fidelity to the great leader Mao Zedong in the streets. All of this, though, is minor stuff — and some of it was directly blamed on government organization and incitement. It often seemed that the actors were going through a performance that their hearts weren’t fully in. For widespread, visceral, and action-based nationalism, though, modern history has been surprisingly bare of examples from China. We know all too well what nationalism can do in Japan, for instance — where it led in the 1930s to militarization and a potent, and extremely destructive, form of imperialism that wreaked havoc across the rest of the region. In Europe in the first half of the 20th century, we know what German and Italian nationalism did, and how they almost brought the continent to its knees. But for Chinese nationalism, things get hazy. What exactly is it, and what are its implications? Scholars like Robert Weatherly, Jeffrey Wasserstrom, Peter Gries, and Qiang Zhang have written about the role of nationalism in modern Chinese life, through events like the Boxer Rebellion in 1900, or the 1919 May Fourth Movement. And there is no doubt that belief in a strong, powerful Chinese nation operates almost like a state religion under President Xi Jinping. 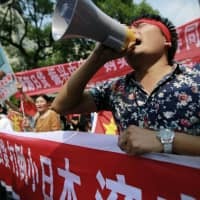 With the widespread collapse of faith in Marxism-Leninism per se, except by the elite who need to believe in this to give them a workable common language, and the falling off of high-speed growth, China is now in an era where its ruling party locates a lot of its legitimacy in delivering the dream of a strong, rejuvenated, and wealthy nation. That explains the almost obsessive reference to this trope of national regeneration. It is the centrally orientating idea of the Xi era, and it manifests itself in the status that China’s economy has not attained for the country. The desire for national respect is a huge political resource. It would be odd if politicians didn’t avail themselves of it. Even so, this still all operates on the level of rhetoric. Chinese nationalism has a shadowy quality. The country has built up a vast new navy and army, for sure — and these could be easily put to nationalistic use. But as of today, the nation has not seen any major combat since 1979 (with Vietnam) and not won any since the early 1960s (India). That hardly makes it a candidate for war-making status. Similarly, for all the declarations within the country of power and strength, as of today, at least, Chinese leaders talk the language of cooperation, working with the wider world and seem to steer away from global commitments that hungry nationalism would presumably like to swallow up. This seems a very circumscribed, measured nationalism in practice. Of course, language does impact on action. And that may well be where the problems really start to arise. Enough of the wider world, listening to the fierce rhetoric coming from some communities in China, could misunderstand or misinterpret this and take action back. That would be a nightmare scenario — a war that went beyond shouting and words to real actions. It is unlikely, but, alas, not impossible. And with the heightened emotions and tensions across the region at the moment, something that is more likely now than in recent years. That is why it is in the Chinese government’s interests to at least calm down and reign in the forces of Chinese nationalism. The fact is, neither we nor they fully know what we are dealing with. And as the British and others have found out recently, once you stir up a response in a public (in the British case, on Brexit and national sovereignty) it can lead to fierce and hard to manage outcomes. In China’s case, because of its vast size and complexity, the outcomes of that could be horrifying. Best let Chinese nationalism sleep, for everyone’s good.